We have to admit that we haven’t been to Argentina – yet. But after reading Authentic Food Quest Argentina by Rosemary Kimari and Claire Rouger we need to change that. In learning about all the delicious and varied foods, wines, farmers markets and restaurants, we’ve been inspired to plan a trip ASAP. This is no simple food guide. It contains over 300 pages describing more than 50 authentic food recommendations for all four main regions of Argentina. 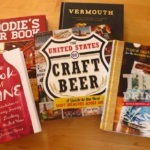 The book also goes beyond restaurant recommendations and offers suggestions for wineries and farmers markets as well. 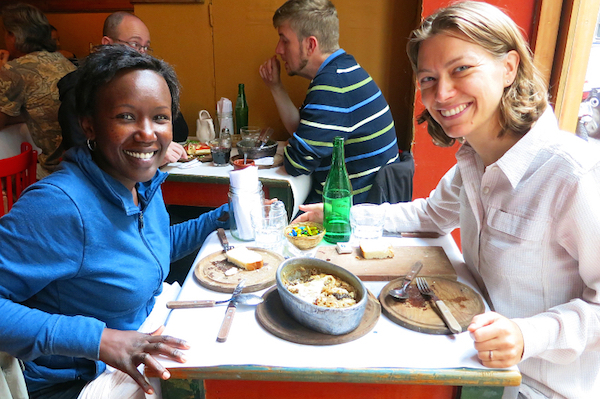 Authors Rosemary and Claire have spent extensive time traveling in Argentina where they had the tough job of tasting local dishes, desserts, beverages, street food and unique local produce. As if that weren’t enough they also cover local cooking classes and food tours. To make this comprehensive book even more useful, they’ve also included travel tips that will make your journey to Argentina just a bit easier, from practical matters like visa information and money tips to details about transportation and communication. We recently had the chance to interview Rosemary & Claire. Read on to learn why these fearless food travelers chose Argentina for their first book on culinary travel. What inspired you to quit your jobs and travel the world? 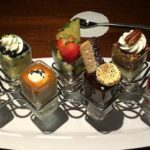 Authentic Food Quest: Ever since our childhoods, food has played an important role in connecting us to new places or regions. After leaving Chicago where we met, we moved to France for a couple of years and then later to Los Angeles. Every time we move to a new city, the easiest way for us to connect and immerse ourselves into the local culture is through food. Our dream for many years was to start our own business. We were seeking independence from our corporate jobs and seeking the opportunity to lead our own projects. When we were in Los Angeles, Rosemary was frustrated with the “politics” at the advertising agency where she worked and later decided to quit her job. She began working on a plan that would allow us to combine our love for food and passion for travel. At the same time, two unforeseen events pushed us forward. Claire unexpectedly lost her dad at the beginning of 2015. And later in the Spring, her sales/engineering position was suppressed. That’s when we took a step back to do some soul searching and evaluate the purpose of life. We decided to get off the corporate track and pursue our dream. That’s when we took a leap of faith and created Authentic Food Quest with the goal of inspiring people to travel through authentic food. 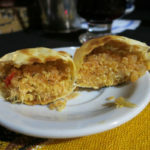 We started off in South America, spending 6 months discovering and writing about the authentic foods of the region on authenticfoodquest.com. 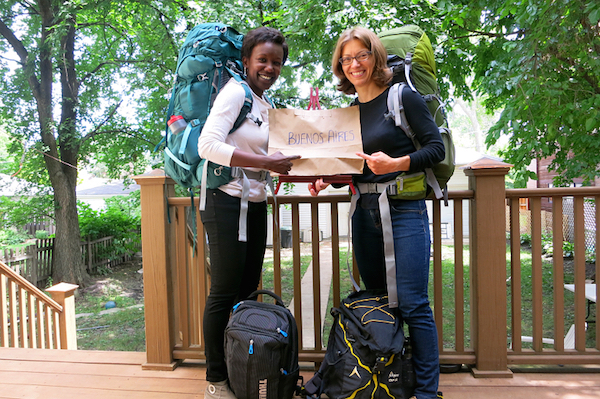 Rosemary & Claire ready for Buenos Aires, their first stop in the quest for authentic food! We know that culinary travel is important to you. What is the first dish you ate in another country that made you want to explore more? RK: I’ve had a “love-affair” with France for as long as I can remember. It was when I was living in Nice, in the South of France that I ate the most delicious food ever. The first time I went to Nice, I remember walking around the market and indulging in socca, a simple and delicious chickpea pancake. I recall fondly sitting at a restaurant overlooking the Mediterranean Sea, sipping some of the best Rosé wine. One of my favorite dishes was a classic Niçoise dish called farcis, which is made with vegetables (tomatoes, eggplant, and zucchini) stuffed with ground meat, garlic, and breadcrumbs. The entire experience of the food, wine and amazing views fueled my desire to keep exploring….through food! CR: For me, it is part of my upbringing. Born and raised in France, every summer my parents would take us on vacation to different regions of France. Tasting and enjoying the local specialties was an inherent part of every trip. I have countless memories around cheese. Wherever we traveled to, we would always bring back the local cheese specialty. That “tradition” stayed and wherever I went I always explored the local specialties. What country would you like to go to just for the food? They are so many countries that we want to explore for their cuisine. Our next trip is to Southeast Asia to discover the authentic foods of the region. We are looking forward to learning about the local cuisine. 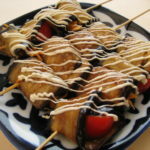 However, two of our favorites dishes are sushi and couscous. We would love to go to Japan for the incredible fish market and culture around food. The other country we can’t wait to explore is Morocco; to get lost in the Marrakech souk markets and enjoy delicious couscous. If you could give our audience just one tip on food travel what is it? Be Open, Be Curious! To enjoy the food on your travels, you want to remain curious. You want to leave your habits and expectations behind. It is about opening up to new cultures, new tastes and flavors. This is so important that we dedicated a chapter in our free ebook on “the 5 best way to find authentic food while traveling”. To illustrate this point, let’s share a story from Argentina. We were in Tilcara, a remote village in the Andean Northwest. It was lunch time and we were famished. We decided to avoid the tourist restaurants on the main street and eat at the local farmers market. On the outskirt of the market, we spotted a lady cooking food with pots and pans on a rudimentary barbecue. We asked her what she was preparing, while at the same time surveying the place. We were a little hesitant about the place and the level of cleanliness. However, upon seeing locals eating and enjoying their food, we put our fears aside. The lady was open and friendly and invited us to take a seat at a rundown table in the back. She offered us fried empanadas and then served us chicken that was simmering in a pan. We ended up having a great meal and chatted with a local man who was so impressed to see foreigners eating at his usual lunch table. When you open yourself up, you run into unexpected moments. This was one example of how we sparked conversation and connected with locals around food. What is the best meal you’ve ever had (so far)? This is a really tough question to answer. As travelers, we have visited over 29 U.S. states and 27 countries, each time sampling the local cuisine. We can recount many great experiences and outstanding meals. Though there is one experience that stands out from our quest for authentic food in South America. We were in Santiago, Chile and had the opportunity to explore Chilean cuisine with Chile’s top chef, Rodolfo Guzmán. In a country that is not well-known for its culinary tradition, Guzmán stands out for cooking with indigenous Chilean ingredients. His restaurant Boragó was named #2 in Latin America’s 50 best Restaurants 2015 by San Pellegrino. What made this experience so unique is that we had the privilege of spending the afternoon with Rodolfo at his organic farm in El Monte, which is about 50km south of Santiago. Here, we learned how Rodolfo incorporates the native ingredients used by the Mapuches Indians (native population from Chile) in his cuisine. Guzmán is known to be a pioneering chef who uses ingredients from all over Chile. At his restaurant that evening, we had one of the most creative meals ever. Every dish had a story to tell. The food was presented with original products, such as cow horns or earth elements such as rocks, trees and shrubs. Not only was the presentation outstanding, the fusion of flavors was delectable. 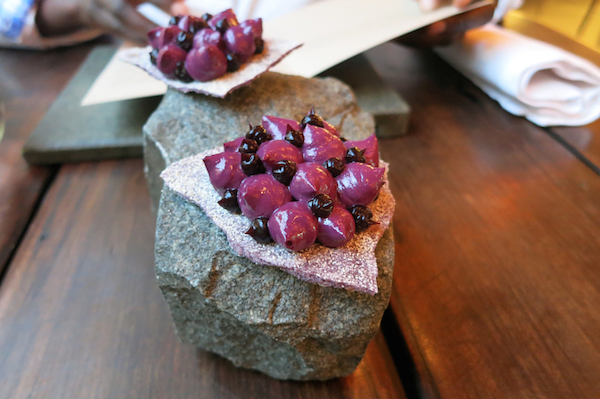 We had dishes with ingredients from the Atacama Desert in the north of Chile. Others used herbs and berries from the Andes Mountains, rare seaweeds or prune flowers, paired with venison or the freshest fish and seafood. An amazing and incredible experience! What country have you enjoyed visiting the most? Each country that we visited in South America was unique in its own way. Argentina was one country that we really enjoyed for a variety of reasons. First, we spent the most time in Argentina, almost 3 months. This gave us a chance to really understand the local culture and cuisine. We also traveled slow, staying with locals, which allowed us to forge deep connections. Finally, we found the people to be very warm and friendly and open to sharing their unique stories with us. Why did you pick Argentina for your first book? So, in the book we take the reader on a journey through food into four main regions of Argentina: Buenos Aires, Mendoza & the Wine Regions, the Andean Northwest, and Patagonia & the Lake Region. In each region, we present the iconic dishes & beverages, farmers markets and local food stores not to miss. We also share unique local restaurants, wineries and food festivals to experience the local delights. We aim to provide travelers everything they need to launch their own food adventures in Argentina. 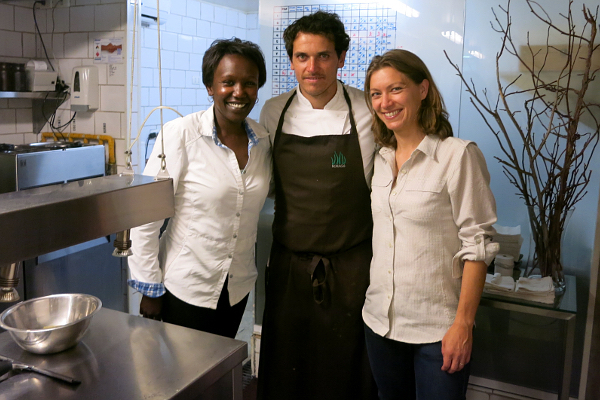 Claire and Rosemary are co-founders of Authentic Food Quest. They aim to inspire people to travel through authentic food. Join to follow their adventures here. 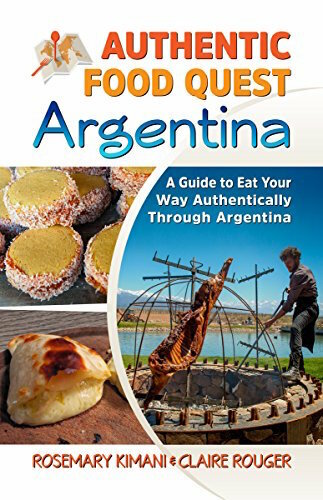 They have just published their first book Authentic Food Quest Argentina: A Guide To Eat Your Way Authentically Through Argentina. Get your copy on Amazon Kindle today. THE QUICK BITE: Authentic Food Quest Argentina is a comprehensive overview of Argentinean food & culture. If you’re looking to learn more about culinary travel in Argentina this is the one book you’ll need. I spent 6 weeks in Argentina and the food is really great. I especially love empanadas. I could eat those all day! This book is really going to inspire a lot of people to visit Argentina. I love a good food book so i might have to check this one out. I’ve heard so many good things about the food in Argentina! Argentina definitely one of my to-go-to-list places. Always loved their football team! After reading this post, until I can get to Argentina, I need to see if Toronto as multicultural as it is has an Argentinian restaurant! I love how they have taken their love for travel and food and turned it into a lifestyle and business! Food is such a great way to relate to different locations all over the world. Yet can be overwhelming when heading to a new location. The book would be so helpful when visiting Argentina! I hope to head Argentina soon! I would love to sample some of the regional dishes. I must say, I also love eating in Nice, and those soccas are delicious, especially with rosé! You are going to love Southeast Asia! The food here is incredibly unique, you’ll be surprised at every turn. Japan as well, everything is delicious and the culture has to be experienced! I spent about a month in Argentina and enjoyed my time there immensely! I’m going back in a few months to explore places I have missed. This book will really be handy on that trip! I’d love to go to Argentina (and South America in general)! I’ve heard that the Argeninians put on a BBQ that would outdo Australians, so I’d love to experience that. Boragó looks like an awesome restaurant to visit too. 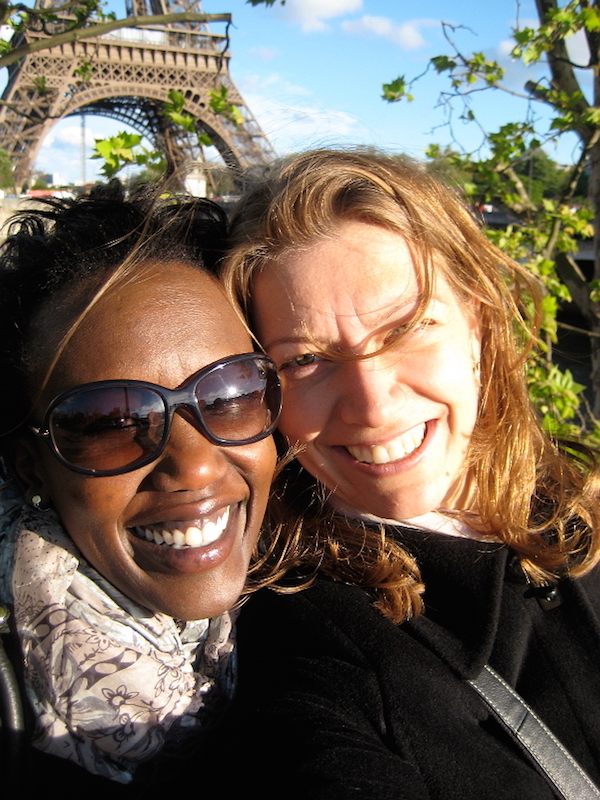 I enjoyed reading how passionate Claire and Rosemary are about travel and food. We feel the same way! Guy even shares his love for socca from Nice. They will be in for a treat when they visit South East Asia, as the food there is amazing! We’ve been to Argentina in 2014 for three months. Great were the small shops with fresh fruit and other local specialities. We should have had the authentic food quest of Argentina already at that time. We were invited a couple of times by locals but that was all about meat. Thanks for introducing me to these lovely travelers… Now I need to go to Argentina! Sue, this post was such a surprise, not JUST because the beginning talked about their love of France. I’ve heard Argentina is great (especially the wine). 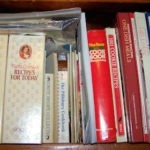 Enjoyed reading about the lady in Argentina who was cooking. While I agree that one needs to be open and curious (and eat what and where the locals eat), I am so scared of getting sick (like I did in Morocco) from street food, so it will be my challenge to figure out how I can do the sampling in the future. I don’t want to miss out on great food!